Engineered Environmental Solutions, Inc. (EESI) has been providing environmental construction, remediation, engineering, storage tank management, remedial equipment, and pilot testing services since 1994. Please browse our web page for complete details on our capabilities, experience, resources, and inventory of equipment. 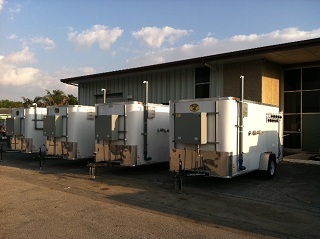 EESI has a wide variety of rental trailers available now. Contact us for fast, friendly, professional, and courteous service.